Let me know what advent calendar you usually choose for yourself if any? I am usually a chocolate advent kinda girl but last year I I was lucky enough to win a L’occitane calendar and loved that one! I usually have a chocolate one bought for me but I would love one of these. Would be better then my cheap chocie one! usually chocolate, but I have had cosmetics before. I don’t do advent calendars anymore, wouldn’t be able to afford one of the expensive ones. But in the past I just liked a traditional one with the pictures behind the doors (difficult to get these days). I don’t usually have one – my son has a Lego one . If I’m honest – I haven’t had an advent calendar for the last couple of years but I’m looking forward to treating myself this year! I like the old fashioned style with pictures and glitter. I usually have a standard chocolate advent calendar but I’d love to get a beauty (or Lego!) one one day as they look great. Yankee Advent calendar would be wonderful giving the compliments of the season. I usually go for a Past Times style one and have a box of my favourite mint choccies on the side to help myself to each day. I like chocolate ones, but if I had the spare pennies, I would love a luxury beauty one! I typically choose a chocolate advent calendar. Normally a chocolate one for our son and Little craft treats for my wife. My parents often treat me to a chocolate advent calendar even though I don’t live with them! I would love a Yankee Candle one or beauty one, one day. I’ve had the Molton Brown calendar (which was expensive but the products lasted all year!) and the You Beauty Discovery advent which was amazing! I don’t usually treat myself to one, but buy the kids a nice one like Lego etc – so to win this would be amazing! These might actually be able to tempt me away from chocolate! I’m trying to slim down for my wedding so trying to resist the tasty treats this year! Just a traditional chocolate one. This was a cool post 🙂 I love xmas! Love this, will be lovely for a Christmas treat ! I buy a Yankee Candle advent every year! I don’t usually have one. I usually just have a chocolate one. I usually get chocolate ones for my family but i think this is wonderful! I can’t resist a good chocolate advent! I love all advent calendars but i would have to say I’m a sucker for chocolate! Thanks for these recommendations, they all look fabulous! Gotta be chocolate for me. I would buy a cider advent calendar, but they don’t do one!! I never buy myself advent calendars as they are usually expensive. I usually pick chocolate type calender’s. I’ve only ever had a cheap choccy one. I’d love a beauty or candle one . I’ve wanted the yankee one for years! I’ve not had an advent calendar for a few years – but my daughters usually share their chocolate ones with me. 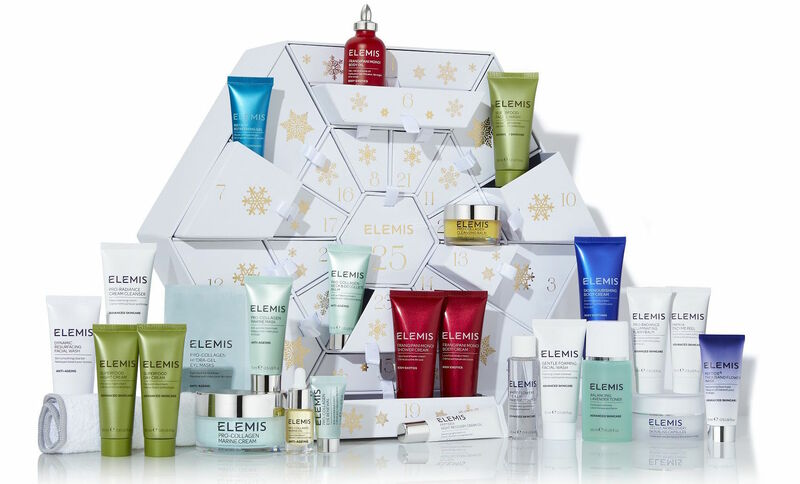 This year I have asked for a beauty advent calendar. Last year I really enjoyed my candle advent calendar. I usually chose a Cadbury’s chocolate advent for my husband and I to share. 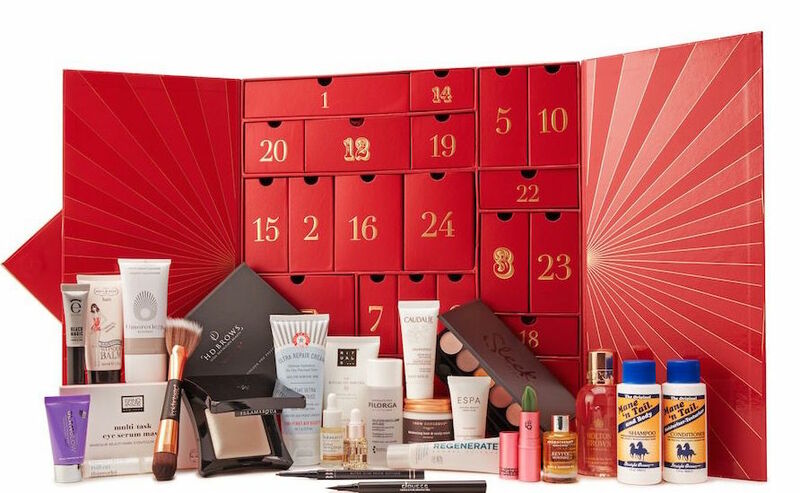 I love the look of the Lookfantastic advent calendar as it’s full of lovely little miniatures from different brands. I haven’t had one for myself for years, love to win. I have only ever bought chocolate ones for the children and an advent candle to light each evening. I’d love a beauty or candle one but can’t justify the cost so close to Christmas- not until the children leave home anyway! I usually select Cadburys Dairy Milk calendars for the grandchildren but dont usually get one for myself, so this would be fabulous. I usually go for chocolate advent calendars but as I’m on a diet at the moment I’m looking out for alternatives. I love candles so a Yankee Candle one is top of my list! Chocolates for the little ones and You Mail Beauty Advent Calender for me. We usually have 3 advent calenders (all chocolate) 1 for my youngest, 1 for my eldest and 1 for my husband as he is the biggest kid i know lol. I usually just have one from the poundshop! I love a Maltesers chocolate calendar, or The Body Shop advent calendars are also fab with the lovely christmas products. I usually buy the chocolate ones. But my children are a bit older now. Maybe it;s time to buy myself one. This would be lovely. Some really gorgeous calendars here! I usually go for chocolate calendars. I don’t normally have an advent calendar but I’m loving the jo Malone one!!!! Normally chocolate although last year I chose a tsum Tsum calendar. Chocolate. Last year i treated myself to a hotel chocolat one. It was tasty. Fancy trying something different this year. I usually just get a wee chocolate one but last year I bought a beauty one. It felt much more special! Usually a chocolate one, fantastic prize! I normally go for the lego advent calendars! they are so awesome! We put chocolate coins in the Christmas stocking bunting advent calendar I made a few years ago. I don’t always have an advent calendar but when I do it is chocolate. Haven’t had an advent calendar for years but love some of the choices highlighted here, especially the Yankee one! We usually have chocolate, but would love to try something different! Usually a simple chocolate one. I love any sort of Advent calendar. My husband bought me a make up advent last year and I really enjoyed all the little lipsticks and things. A new one every day was a real treat. l normally have the Lindt one but l love all the advent calendars they have out now! I usually buy a cheap chocolate one for each of us. 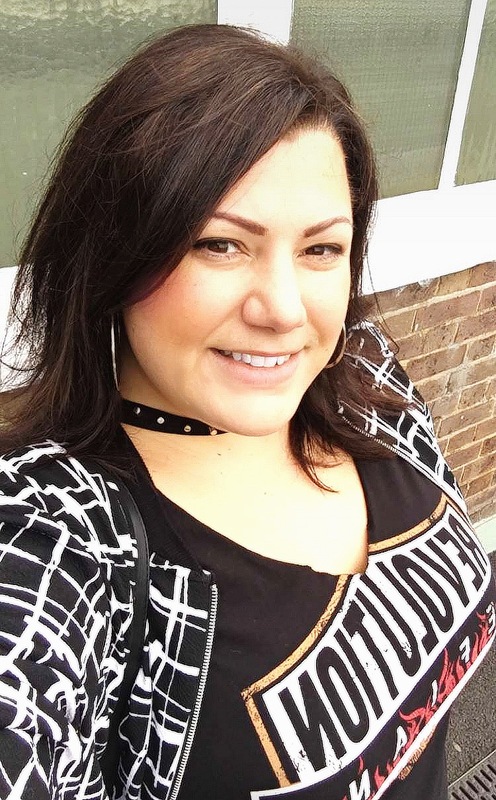 Kelly Wiffin recently posted…Ice Skating – Miss A has passed her Skate UK! I normally just get chocolate advent calendars, but last year I bought a wax melt calendar and I loved it! I usually just buy a chocolate advent calander for a few pounds. Would love a fancy one as a gift but wouldn`t dream of buying one. I normally choose an advent calendar that is a little bit of luxury. Work is hectic in December and it’s nice to come home to a special treat. I havent had an advent calendar since I was a kid but love the idea of the beauty ones as well as the candles, us mums deserve a treat too! i don’t normally buy one for me but last year my sister bought me a wine advent calendar AND I DID LOVE IT! I would normally buy a beauty advent calender but I just can not afford a £100 this year. I love them all! Usually I just get them for the children, but that Jo Malone one is great… or the Throntons…? I really could be tempted! Never normally get one for myself , I tend to get the children chocolate ones but last year they had a Smiggle calendar. we usually have kinnerton chocolate ones as it is a nightmare for nut allergies with all the rest! I don’t usually get one but my kids have chocolate ones. The dream would be a beauty advent calendar but I usually just get a Cadbury’s chocolate one from my Mother in Law! We tend to buy ones with chocolates in but this would be amazing to win. Usually poundland choc ones but they have been awful lately worse than doggie chocs! I like the L’Occitane advent calendars but also treat myself to department store versions in the January sales when they are reduced by at least 50%. 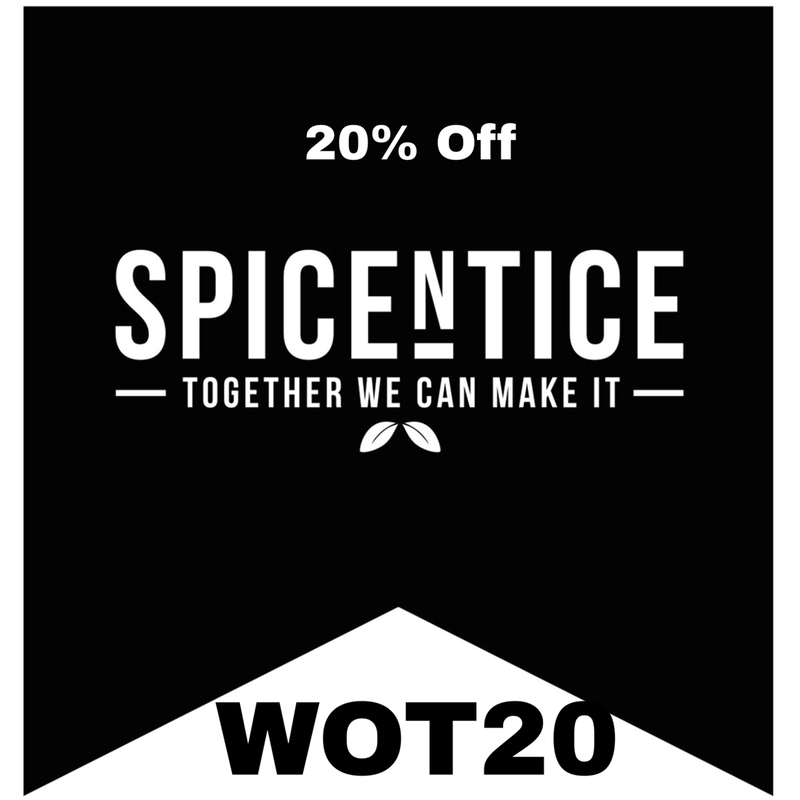 I have had L’Occitane in the past but have asked for an M &S one this year, great value. Love any sort of makeup advent (or perfume or candle for that matter), thanks. This is great, always want to buy one of these for my wife but this will help me make a choice!! I have previously had a chocolate advent calendar, but then stopped as it got a bit boring, dare I say it. Also not very friendly as one little piece of choc cannot be shared with everyone in the house, so it felt a bit mean. An advent calendar with something behind each door that lasts longer than a guilty few seconds is the above would be so fantastic. Love the idea of candles – especially Christmassy! I normally have a chocolate advent calendar, a sweet little something to perk me up before I head out to work in the mornings! I have asked for the M&S calendar for my birthday, really looking forward to a gift every day. I didn’t even realise yankee did an advent calendar! Amazing! 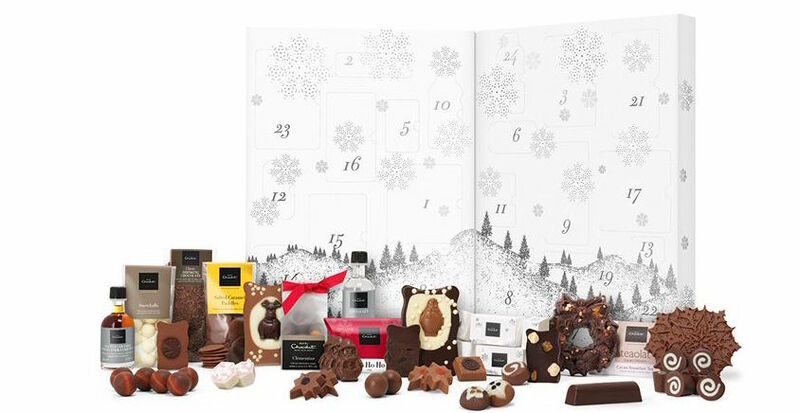 I tend to go for beauty calendars, but I do love Hotel chocolat’s stuff. I usually have a chocolate one, but love the idea of one which is a bit more of a treat. I usually get a cadburys chocolate advent calendar! I usually share a chocolate advent calendar with my husband – last year we had a Lindt Calendar that actually had two flat chocolates in every day, which worked really well as we normally alternate on which days we get a chocolate! However, this year I have been working on losing weight and, whilst one chocolate on alternate days would not stop me losing weight, I am hoping to go for a non-chocolate calendar. Mind you, by the time I have bought different advent calendars for the four children (who find chocolate advent calendars “boring” nowadays), I probably won’t spend the money choosing one for myself. I always go for chocolate but these look fab! I typically go for a Milky Bar one! I normally have a chocolate advent calendar, but for the last few tears I have also brought a L’occitane advent calendar as well. I’d love one of these for a change! I usually like a Lindt chocolate one! Usually a cheap chocolate one so it would be nice to have something different! I would normally chose a LINDT chocolate one but oh my gosh what a treat these all are! such a choice. I usually end up with a chcolate one, but I’d love to do something different this year. I think these are much more fun than just regular chocolate calendars. I really like the idea of the beauty products. 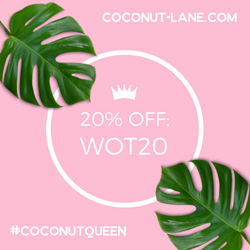 It is a great giveaway!! I usually choose a chocolate calendar. I usually have a boring chocolate one but a fragrance is a nice change!!! ps Love the webpage , very classy!!! I usually just have a chocolate advent calendar, this would be lovely to win. So many different advent calendars to choose from I would be stuck for choice! I would normally have chocolate, but I love the idea of a wine one! I get myself a chocolate advent calendar every year. I buy my son a Fairtrade Advent Calendar but if i had the chance for one myself then the Yankee Candle Advent would be my choice as i love using scented candles. I had a Molton Brown calendar last year…a gift from my partner. This year, I’ll be buying my own cheaper one! And every year a chocolate Lindt one too. I used to always go for a chocolate advent calendar, Last year it was a Galaxy one, I am loving the look of these beautiful advents. I usually go for a cheapish chocolate (but not “advent calendar chocolate”!) 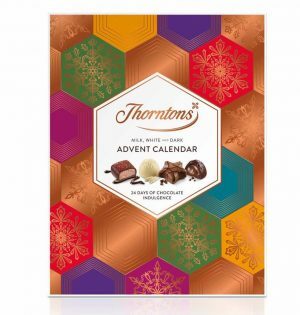 basic solid chocolate shapes advent calendar – usually tends to be Cadbury or Thorntons. I’ve never had a “posh” one! Can’t resist a classic chocolate advent calender. We have always just gone for the traditional card advent calendar. I haven’t had a advent calendar since I was a kid only buy chocolate ones for the kids so be lovely to have my own. I think the Hotel Chocolat to give me a real treat! This is the first year I’ve really become aware of beauty advent calendars in a big way so I’m sorry to say that until now my go to advent calendar has been chocolate (I know, I’m so ashamed!) Bot this year I’m definitely checking out the goodies on offer in the beauty and candle departments! It would be a toss up between candles and chocolate. I buy chocolate ones for my kids, but I don’t normally have one. I usually choose chocolate ones but would much prefer a one with gifts inside! I have never had anything other than a standard chocolate advent. It’s always a chocolate one as my parents always buy one for each of my children. We always just have chocolate ones so I think it is about time to try something new. I do like the beauty ones, however for the money I would rather buy myself a few decent full size cosmetics rather than have lots of little samples. I’ve got my little ones a stationary one from smiggle this year and it looks fab. I usually have a gin advent calendar. Usually chocolate, but I’ve been tempted by all these other kinds that have come out in the past few years. Love the idea of a candle advent calendar…candles, saving grace from dark and chilly evenings! Bit of twinkle and the world is right again. For me it has to be chocolate! It just gives me that little bit of a sugar fix that’s acceptable to have first thing on a December morning to last me till after work! this year I have actually got one, and already picked it up, as it is the ikea chocolate advent, they are giving away a voucher inside so it is win win. My son has a fabric pocket one. Chocolate but I’d really love a wine one lol especially today. I don’t buy myself an advent calendar but my son gets a chocolate one from his grandparents and I make him a book advent calendar. Great prize and some wonderful advent calendars out this year! Scented candle ones, I love the spicy scents this time of year. I usually get a chocolate calender but this would be even better! I love Yankee candles. I usually go for chocolate but I am on a diet so I really don’t need any temptation. I am looking at a gin one this year! I usually go for a luxury chocolate one although this year I might try hot chocolate instead. I usually get a traditional one with just pictures, like I had as a child. I have never had an “adult” advent calendar….but we always buy a chocolate one for our son. I haven’t had one in years but would love this one! I have only ever bought chocolate advent calenders but i would love a yankey candle one. There is such a huge collection of amazing advent calendars now. I want them all. Too greedy? I’ve always bought chocolate ones but there’s so much more variety out there now. I don’t get a calander for myself the kids where chocolate calabder but over the last few years its been more expensive toy ones lego.barbie ect .. I haven’t had an advent calendar for the last 25 years – I would love any of them especially one of the beauty ones. My mum actually bought me a candle advent last year and I loved it! This would be lovely to win! I haven’t bought an advent calendar for myself ever! I usually buy chocolate ones for the children. my girls have lego and hot wheels ones this year, they also have a refillable one each which their nana sends chocolates for. they normally just have the refillable ones and I try and find small bits for it. I cant remember the last time i had an advent calendar for myself and nowadays there are so many to choose from. I have never actually bought one. The chocolate ones look very tempting – me and my sweet tooth! Ooh, this looks absolutely gorgeous. I’d love it! I’m also after the L’Occitane one that’s like a magic box! Well I’ve seen a cheese one recently which I might treat myself to as they have a limited edition one for Christmas but I also heard that there’s an, ahem, adult one to…..!!!! I usually get a basic choccy one, but I always lust after the posh ones! Im a single mum of 5 kids. 19yr old is away flown the nest and i never see her. 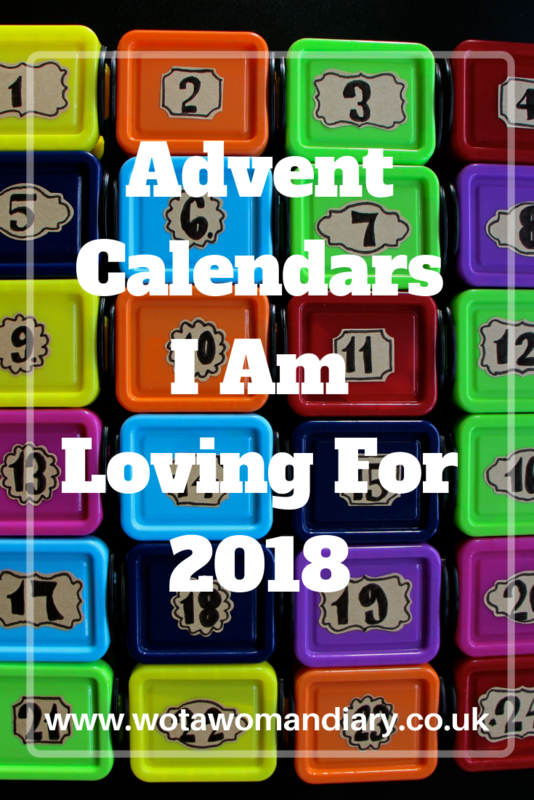 I have a 14yr old who i am a carer for then 11yr old boy 8yr old girl and 12wk old son…every xmas they all have advent calendars and i have never had one. Didmt get one as a child either. So i would love any type of calender but really like the candle one.